Republican presidential candidate and former Massachusetts Gov. 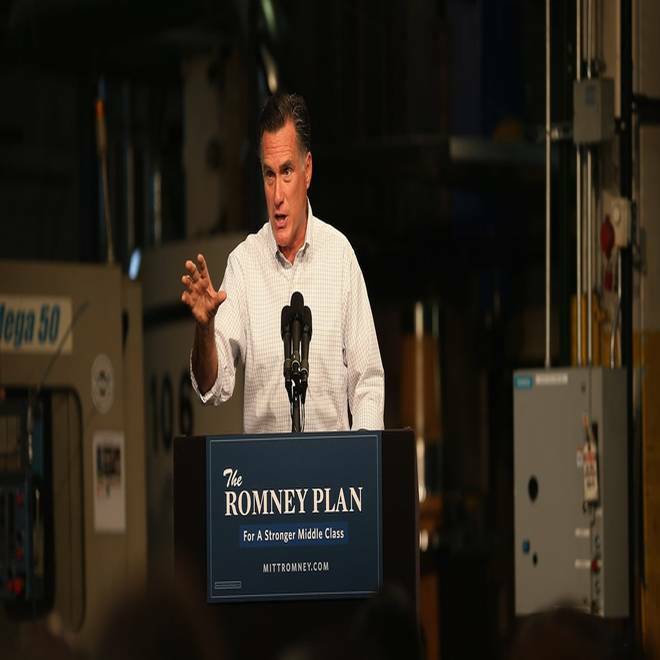 Mitt Romney speaks to workers during a campaign event at Acme Industries on August 7, 2012 in Elk Grove Village, Illinois. *** The final three: We can say with a high degree of confidence that Mitt Romney’s vice-presidential pick has largely come down to three men: former Minnesota Gov. Tim Pawlenty, U.S. Sen. Rob Portman, and House Budget Committee Chairman Paul Ryan. And it’s more than possible that Romney has already made up his mind. 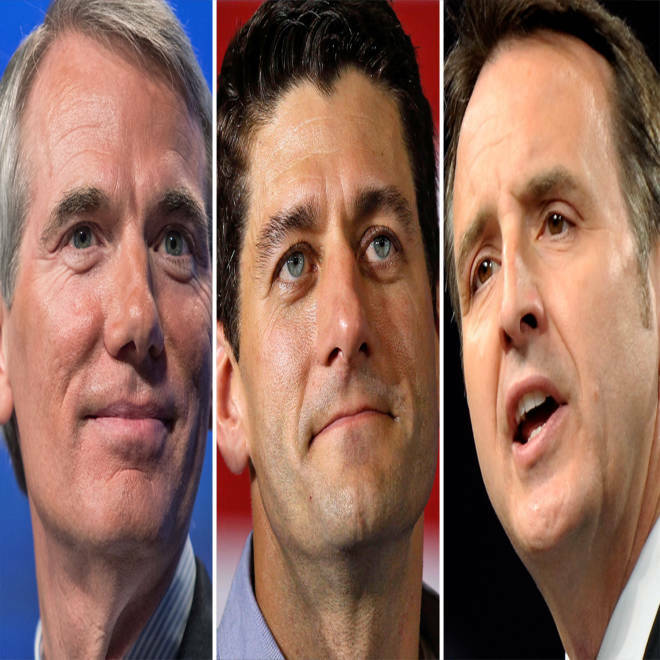 All three VP finalists bring something different to the table. Pawlenty is the loyal outsider, who would enable a Romney-Pawlenty ticket to run as former governors vowing to take on Washington; Pawlenty also potentially would add some blue-collar appeal to the ticket. Portman would be the insider, someone who knows the ways of Washington and who could help govern starting on Day 1. And Ryan would be the crusader, who wants to substantially transform America’s entitlement programs and who would excite a good portion of the GOP’s conservative base. Indeed, Ryan has emerged a VERY REAL possibility, but he also brings the most risk. If Romney selects him, it’s more than conceivable that the dominant campaign discussion in the fall won’t be the economy -- but rather the deficit and Medicare. Of course, there was already a good chance the Ryan plan will get plenty attention regardless of Romney’s VP pick. NBC's Mark Murray and Domenico Montanaro narrow down Mitt Romney's vice presidential candidate picks to three and discuss newly released poll numbers. *** Playing loose with the facts: Speaking of that new Romney TV ad on welfare, First Read has already pointed out that it’s a dubious assertion to claim that Obama is trying to “gut welfare reform.” Why? Because the HHS memo in question clearly states that it “will only consider approving waivers relating to the work participation requirements that make changes intended to lead to more effective means of meeting the work goals of TANF." In other words, the work requirement is still there. So when Romney told FOX last night that Obama believes that “they shouldn’t have to have the work requirement” isn’t a correct statement. But there is a clear reason why the Romney camp wants to continue airing this TV ad: Obama continues to overperform with downscale whites, especially in places like Ohio. But this Romney advertisement isn’t the only new TV ad out there that’s playing loose with the facts. The pro-Obama Super PAC Priorities USA Action has a spot with a man claiming that he lost his family’s health insurance after Bain Capital helped close a Kansas City steel plant in 2001 -- and that his wife died shortly after. But as Politico notes, the man’s wife died in 2006, years after the steel plant closed down. *** “Romney Hood” vs. “Obamaloney”: But not only are the TV ads playing loose with the facts, the rhetoric on the campaign trail also has devolved to name calling. So on Monday night, there was Obama talking about “Romney Hood,” seizing on that recent non-partisan Tax Policy Center report. "[Romney would] ask the middle class to pay more taxes so that he could give another $250,000 tax cut to people making more than $3 million a year. It's like Robin Hood in Reverse. It's Romney Hood!" And here’s how Romney countered to FOX: “We’ve been watching the president say a lot of things about me and about my policies. And they’re just not right. And if I were to coin a term, it would be ‘Obamaloney.’” Have we really gotten to the name calling stage of the campaign in August? Ugly. Are the candidates proud of the tone of the campaign? *** On the trail: Obama stumps in Colorado, hitting Denver at 3:20 pm ET and Grand Junction at 7:25 pm ET… Romney campaigns in Des Moines, IA at 9:25 am ET… Meanwhile, Romney’s surrogates and VP possibilities are out in full force -- Portman attends campaign office openings in Colorado; Pawlenty visits Michigan; and Chris Christie raises money for Romney in California. *** McCaskill gets her man: Endangered Sen. Claire McCaskill (D) caught a real break last night when the one challenger she was HOPING to run against -- Rep. Todd Akin (R) -- surprisingly won his competitive three-way GOP Senate primary in Missouri last night. As National Journal writes, “Polls have showed McCaskill trailing Akin though she polls closer to him than she did against businessman John Brunner and former Treasurer Sarah Steelman, who Akin edged Tuesday.” This Missouri Senate contest is a real race now. McCaskill still may lose, but it’s going to be close. Meanwhile, while Democrats were bracing that Jay Inslee (D) would come in second to Rob McKenna (R) in Washington state’s blanket gubernatorial primary, it turns out that Inslee got 47% to McKenna’s 43%, per the Seattle Times. Now, as Democrats had been telling First Read, the blanket primary isn’t the best way to judge what will happen in November, because the electorates are different. But still, Democrats have to feel good about last night’s result in Washington.